Sleeping Bear Dunes voted "most beautiful place in America"
Sleeping Bear Dunes was voted "The Most Beautiful Place in America" on ABC's Good Morning America. This morning, ABC's Good Morning America revealed the winner of their "Most Beautiful Place in America" contest. 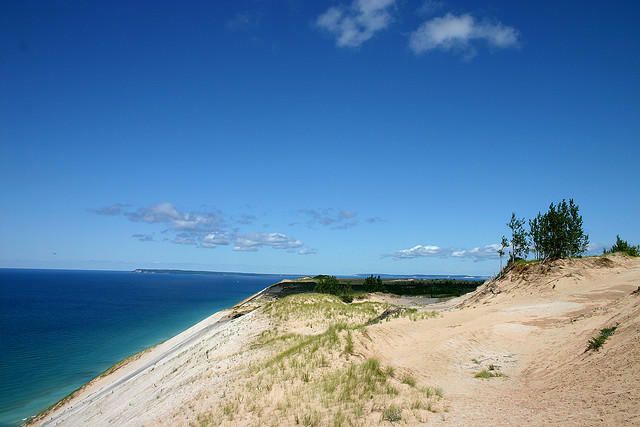 For reasons we all know, Sleeping Bear Dunes won. You can see the video on ABC's website. "It is peaceful and serene, a place for gazing out into the world, night or day, and realizing that the universe is truly a magical, majestic mystery, and humans are just a very small part of it all," he wrote in his submission. "Here at Sleeping Bear, I sit in awe and wonder at the perfection of Mother Nature."